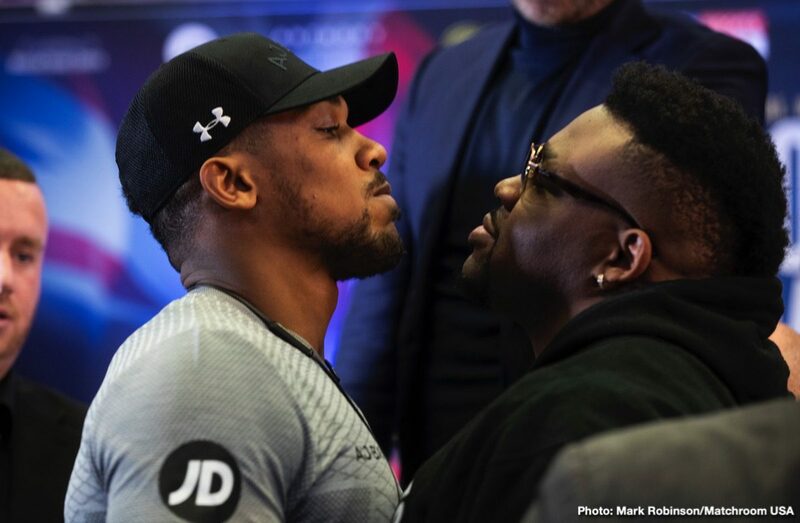 In a shocker, 300+ pound heavyweight Jarrell “Big Baby” Miller has come up positive for the banned substance GW1516 for his June 1st fight against IBF/WBA/WBO heavyweight champion Anthony Joshua for a title match that was supposed to have been streamed on DAZN at Madison Square Garden in New York, according to ESPN. The next move will likely see Miller having a hearing with the New York State Athletic Commission. They’ll ultimately decide whether Miller can go ahead with the fight to face Joshua on June 1 or if he’ll be denied his boxing license. In that case, Joshua’s promoter Eddie Hearn will need to decide whether he wants to cancel the June 1 fight date or look to find a replacement opponent on short notice. It’s unclear when the New York State Athletic Commission will meet with Miller for his hearing. If it’s a week or two from now, Hearn might need to start looking or a replacement to stand by just in case Miller is denied his boxing license by the Commission. The substance that Miller tested positive for, GW1516, is also called Cardarine and Endurobol, according to ESPN. It’s banned by WADA. It’s a metabolic modulator, a substance used to burn fat while assisting with endurance. Miller, 30, tested positive from a urine test conducted by VADA on March 20. This was supposed to be Joshua’s big American debut against a New Yorker. Joshua’s promoter Eddie Hearn specifically picked out Miller (30-0-1, 23 KOs), believing that he was someone that would be perfect for his fighter AJ to get a lot of attention from the American boxing fans. The choice of Miller has been heavily criticized by U.S fans ever since the fight was first announced. The positive test by Miller now puts the fight against Joshua at risk of being canceled. Miller will need to be given a boxing license to fight in New York. With the positive test for GW1516, it’s possible that “Big Baby” will be denied his license. In other words, there might not be a Joshua vs. Miller fight. For some fans, it won’t matter that the fight isn’t happening, as they saw it as another mismatch in favor of Joshua. The fighters that the U.S boxing fans want to see Joshua fight are Deontay Wilder, Tyson Fury and Luis Ortiz. It’s interesting that Joshua is still preparing for the June 1 fight. This means that Hearn might want to keep the June 1 date, and look to find a replacement. There’s less than two months to go before June 1. It’s unclear which heavyweight contenders would be available. If Hearn wants to use one of his own heavyweights from his Matchroom stable, he could stick someone like Zhilei Zhang, David Allen, Dillian Whyte, or Filip Hrgovic in there with Joshua. Hearn could also look for a retread opponent like Joseph Parker, who Joshua defeated a year ago. That wouldn’t be a good option for Joshua obviously, but there likely wouldn’t be much of a drop off in terms of fan interest. The weren’t excited at Joshua vs. Miller, and it would be the same if Hearn uses one of those guys as a replacement. “Jarrell continues to train for his June 1 fight against Anthony Joshua,” Miller’s co-promoter Dmitry Salita told ESPN.com. It would be nice if Hearn found a credible opponent that was an upgrade from Miller. Luis Ortiz would be a considerable improvement over Miller, but he’s also a risky fight for Joshua. Hearn has never shown a desire to let Joshua fight Ortiz in the past, and that likely won’t change.